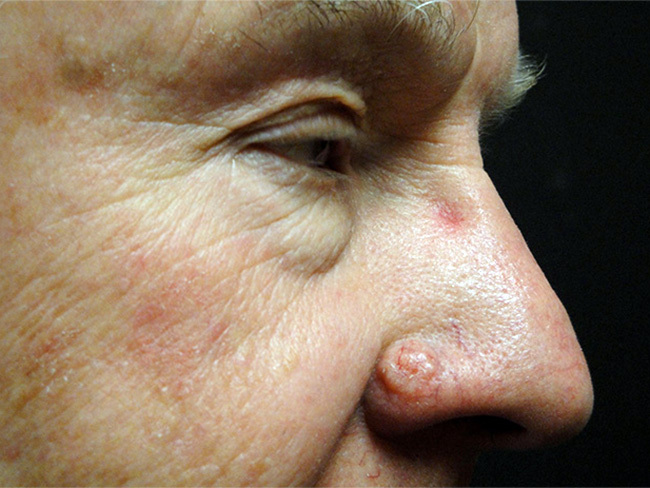 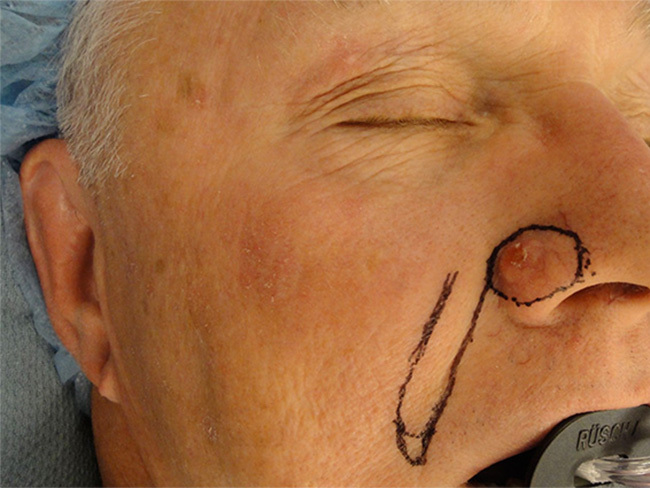 This 63-year-old gentleman from Sun City, AZ presented with a skin cancer on his nose. 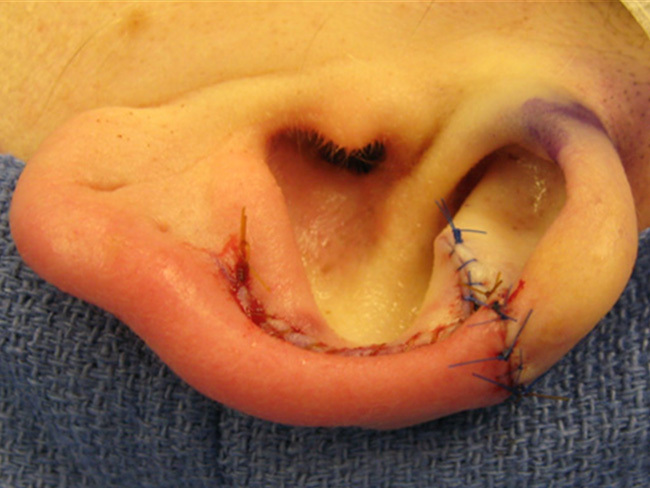 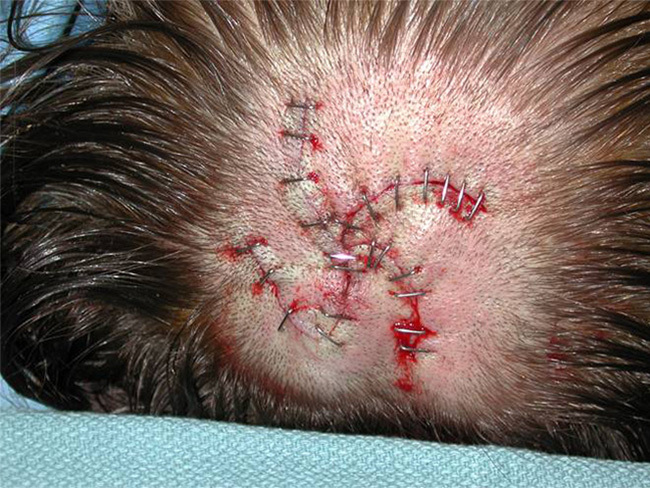 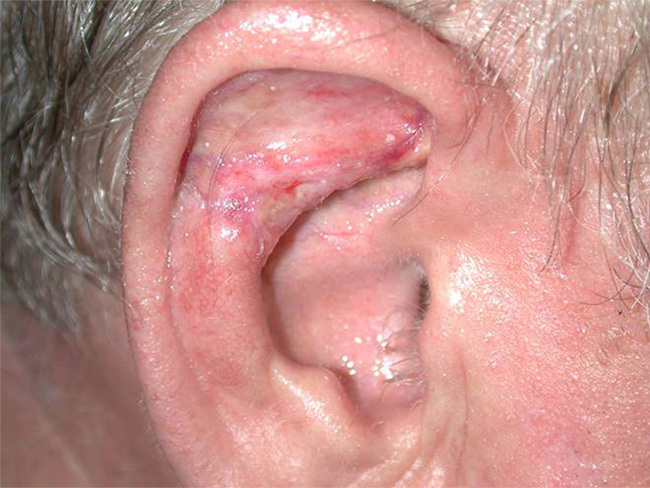 This was biopsied as a basal cell CA and required excision of his entire nasal ala. Reconstruction of the defect required the skill and complexity of a local flap reconstruction, in order not to distort the architecture of his nose nor be left with a patch-like appearance from skin grafts. 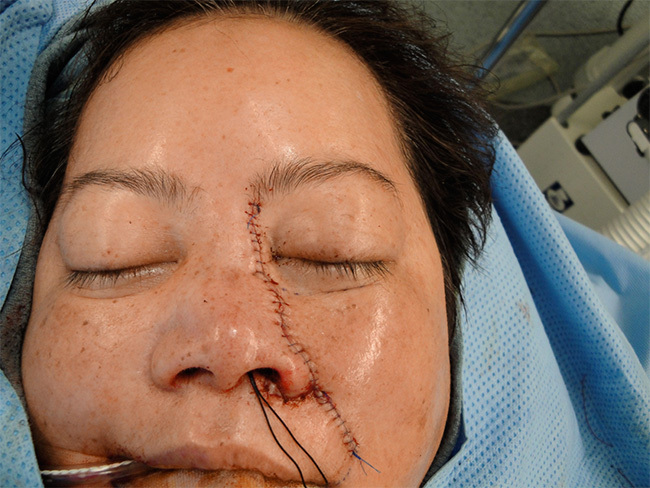 The flap reconstruction consisted of procedures in which his cheek tissue was borrowed and rotated into the nasal defect and subsequently divided for his facial reconstruction and closure of the nasal defect. 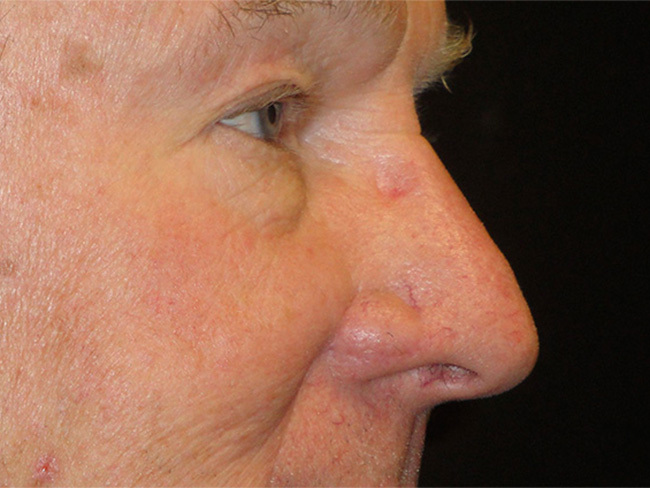 After photos show good contour of his nasal ala with similar skin and texture as his native nasal tissue.